Ladies! If you’re like me, you know what it is to love makeup. You also know how hard it is to find a foundation that is at a reasonable price, works well for your skin type and looks flawless!! After all the trial and errors, I’ve finally found one. 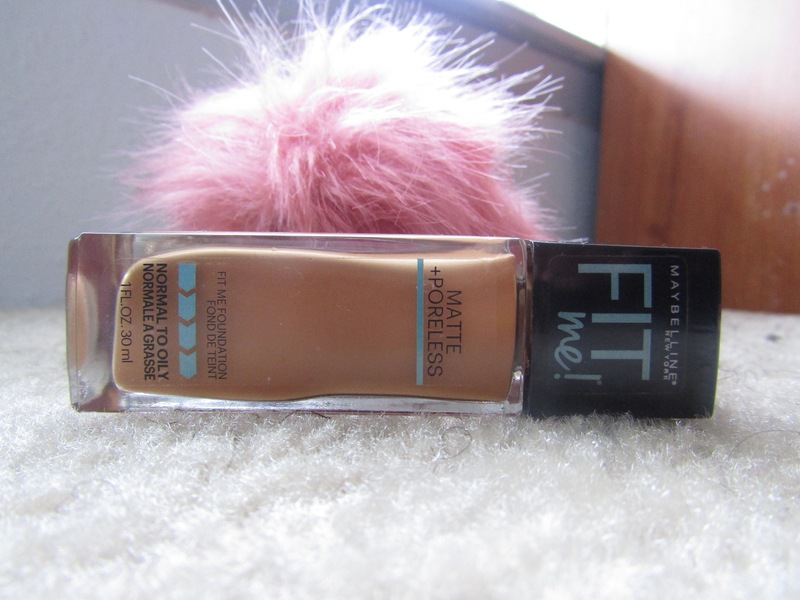 While I was shopping, I came across the Maybelline Fit Me Foundation and I thought that I should give it a try, and I am so happy that I did. There are two kinds. They have the Maybelline Fit me! Dewy + Smooth and the Maybelline Fit me! Matte + Poreless. I decided to go with the matte + poreless because it is specifically for normal to oily skin. I love this foundation because it is really light weight. Not only that, but it actually does what it says it will do. It definitely leaves my skin matte throughout the day. I’ve also noticed that with this foundation I don’t need to put a primer on my face before I do my makeup. The foundation takes care of minimizing and blurring out my pores. In addition, if you find your perfect color, it will blend really well. My color is 340 Cappuccino. It’s the perfect color for me, it blends really well and when I wear it you can’t even tell I have anything on. I honestly don’t have anything negative to say about it. So, if you have normal to oily skin, you should definitely try this one out and might I add that it runs between $7-8! It’s my new holy grail. Maybelline, you’ve done an awesome job! This is a great foundation and i think it works better than a lot of some high end ones ! Really one of my favorites ! Previous Post Why Does My Hair Shed ! ?